Published: Nov. 25, 2016 at 07:03 p.m. Updated: Nov. 25, 2016 at 07:24 p.m. Here in the weekly daily fantasy roundup column, we'll break down everything you need to know to pick the best plays on the Week 12 slate. If any of the terminology goes over your head. Please refer to the "what you need to know" preview of the roundup. 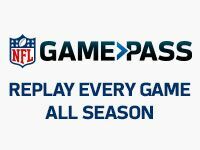 Colin Kaepernick, QB, San Francisco 49ers - The 49ers starter has 22.2,23.9 and 19.4 fantasy points in NFL.com standard leagues over the last three weeks since San Francisco's bye. He has a tremendous floor thanks to a total of 110 rushing yards over that span. The Dolphins defense has improved, but they still have personnel issues across the secondary. David Johnson, RB, Arizona Cardinals - You certainly don't need too much convincing here, do you? The Falcons allow a league-high 81 catches to running backs. Johnson's value is sky-high, but he has the best floor on PPR sites of any player in the game. He's worth squeezing into your lineup. Rashad Jennings, RB, New York Giants - The veteran back has 18 and 26 touches over the last two weeks. Over his time with the Giants, Jennings averages 113 total yards and 0.5 touchdowns per game when he sees 16 or more touches. The coaching staff is starting to notice he functions best as the team's clear workhorse. Cleveland is the 30th ranked run defense in Football Outsiders' DVOA and are a declining train wreck. Jeremy Hill, RB, Cincinnati Bengals - A value meets volume proposition, we rarely find good reasons to ignore that. Hill will push for double-digit carries with Giovani Bernard out. Even if the Baltimore run defense is fantastic, Hill has tremendous touchdown upside with the volume he's now locked into. Larry Fitzgerald, WR, Arizona Cardinals - The Falcons middle of the field defense gets smashed by tight ends, running backs and slot receivers. Fitzgerald is about the only piece working in the Cardinals pass offense right now. DeAndre Hopkins, WR, Houston Texans - The usage is still there with Hopkins, as he averages 9.5 targets per game. He has not eclipsed 70 yards since Week 6, so you know what you're getting in to here. However, the Chargers allow 183 yards per game to the wide receiver position, the third-most in the NFL. With injuries throughout their cornerback corps, this could be a week where positive regression helps Hopkins along. Steve Smith, WR, Baltimore Ravens - The veteran has a steady role with seven, seven and nine targets the last three weeks. While he might not be able to reach a sky-high ceiling, Smith is a solid floor play as the clear lead dog in the Baltimore passing attack. The Bengals allow a 5.3 touchdown rate to receivers this season. Mohamed Sanu, WR, Atlanta Falcons - Patrick Peterson may not completely erase Julio Jones, but his shadow coverage may at least force the Falcons to look at other options. If so, Sanu should see a bump. He's hit double-digit targets twice in the last three weeks, so that's in his range of outcomes. Sanu racked up 68 percent of his yards the first 11 weeks from the slot, and the Cardinals struggled some this year with covering the interior. Arizona gave up two big games to Jeremy Kerley among others in 2016. Greg Olsen, TE, Carolina Panthers - Rather quietly, the Panthers offensive line issues have hurt Olsen as the offense continues to change. However, this should be a good week for him to get back on track. The Raiders do allow 65.1 yards per game to the position. Travis Kelce, TE, Kansas City Chiefs - The Broncos allow a league-high 476 yards to tight ends and running backs lined up in the slot. Kelce sees 51 percent of his targets when lined up in the slot. He could push for double-digit targets in this game as an underneath passing weapon with the Broncos pass rush bearing down on Alex Smith in a hurry. Will Tye, TE, New York Giants - Having played on 76 percent of the team's snaps, Tye is now a big part of the passing rotation. Over that span, he has target totals of seven, eight and five. His usage is on an upward trend and now the Giants face the Browns in Week 12. Cleveland still far and away leads the NFL in receptions, yards and touchdowns allowed to the tight end position. Buffalo Bills DEF - The Bills lead the NFL in sack rate and go against one of the worst performing starting quarterbacks in the NFL. This certainly feels like a week to be overexposed to the Bills. Russell Wilson/Thomas Rawls, Seattle Seahawks - The Bucs run defense still looks a bit intimidating on paper, but their reputation hasn't been earned of late. Over the last month, they've allowed 4.77 yards per carry but just haven't conceded a rushing score in that span. Rawls should be locked into feature back touches with Christine Michael out the door and C.J. Prosise likely done for the regular season. Stacking him and Wilson is a good way to mortgage all potential touchdowns in that game. Corey Coleman, WR, Cleveland Browns - With Josh McCown under center there's more upside for the statistical success of the Cleveland passing game. Since returning from injury Coleman has played on 89 percent of the team's snaps and has target totals of seven, five and 12. He hasn't cracked 50 yards or scored in any of those games, but this could be the spot where he has his first big game since Week 2 as the usage is there. Janoris Jenkins will likely shadow Terrelle Pryor, which will leave favorable matchups for Coleman. Drew Brees, QB, New Orleans Saints - Playing at home, Drew Brees is without question in play even against a tough Rams defense. Brees had a slower game against a similarly talented defense when the Seahawks came to New Orleans a few weeks back. However, Tim Hightower absorbed 26 carries in that contest, which feels unlikely to repeat itself in Week 12. Melvin Gordon, RB, San Diego Chargers - Gordon has 25-touch upside every single week, but it feels like he's gone under-discussed this week with Jay Ajayi and DeMarco Murray more popular plays at the running back position this week. The Texans have the 18th ranked run defense in Football Outsiders' DVOA, compared to the 11th ranked pass defense. Rex Burkhead, RB, Cincinnati Bengals - This sort of play is one we might believe will happen without really wanting to. While Burkhead might not be all that overwhelmingly talented, he has appeal to the team as some sort of offensive X-factor and ability in the passing game. Baltimore has a stiff run defense and that might require the Bengals to use Burkhead as an outlet receiver.